How long an organism lives is called its life span. In 1998, the average life span for a human, worldwide, was sixty-six years. However, life span is a complex trait, meaning that many factors, including family history, lifestyle, disease, and residence in a developed nation, determine how long an individual's life will be. The average life span in a particular population changes as these factors change. For example, the average life span in the United States in 1900 was forty-nine; in 1998 it was seventy-seven. This increase was likely due to several factors, but perhaps the most important was the improvement of sanitation, hygiene, and public health from 1900 to 1998. These improvements included purification of drinking water, treatment of wastewater, widespread vaccination, and improved access to health care. However, even as these sanitary measures were adopted, other elements of modern life emerged as strong influences on life span, such as diet, exercise, and socioeconomic status. Studies have shown that individuals who exercise regularly, eat a diet lower in saturated fats, and avoid unnecessary risk-taking live longer. This may be because such a lifestyle reduces the risk of developing cardiovascular disease and cancer, the top causes of death in developed countries. Finally, life span is in part genetically determined. Studies of life span in large families have shown that longevity is, to some degree, inherited. This may be due to shared genetic risks of diseases or behaviors that shorten the life span, or it may reflect direct genetic influences in longevity separate from risk of disease. 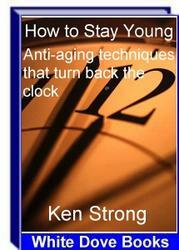 The aging process causes many changes, both visible and invisible. In humans, these changes take several forms. In the first two decades of life, from birth to adulthood, aging involves physical growth and maturation and intellectual development. These changes are fairly noticeable and relatively swift compared to the rest of the life span. After reaching physical maturity, humans begin to show subtle signs of physical aging that grow more pronounced over time. 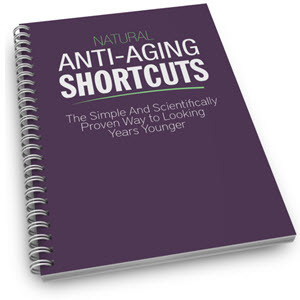 Long-term exposure to sunlight and the outdoors may begin to toughen the skin and produce wrinkles on the face and body. The senses change: Sight, hearing, taste, and smell become less acute. Gradual changes in the eye cause many older adults to need glasses to read. Hair begins to thin and turn gray. Individuals with less active lifestyles often begin to gain weight, particularly around the waist and hips. Beginning in their 40s (or, rarely, in their late 30s), many women experience menopause, which marks the end of childbearing years. Less visible or noticeable changes associated with aging are the loss of bone density over time (particularly in women), slower reflexes, less acute mental agility, and declining memory.